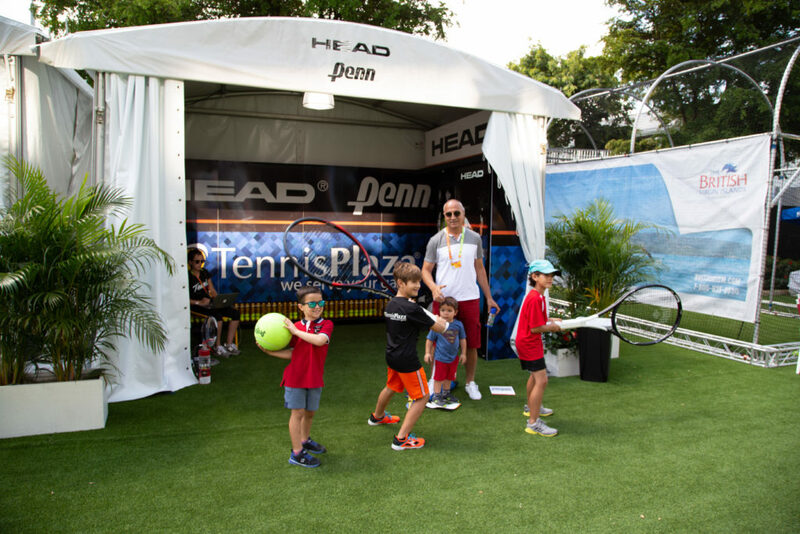 The Miami Open is in full effect and Tennis Fever can be felt all over Miami, while you have the bug be sure to stop by the Tennisplaza Tent to save BIG! 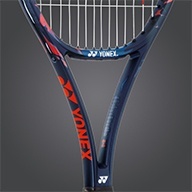 While there is A lot of tennis still to watch remember that this is the time for some of the best deals offered by all the brands from Kirschbaum to Wilson and even Babolat! 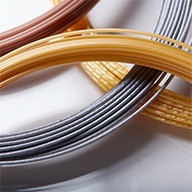 One of the best deals of the year is here and it comes in string form, with any brand when you buy 2 string sets or reels you get the 3rd for free! Kirschbaum, however, offers Buy 1 get 1 free! All racquet brands are also offering a 50% discount on a Bag or Backpack when you buy 2 Tennis racquets from that brand! Now is the time to buy to get the most bang for your buck! Located next to the Grandstand at the edge of the West Lawn you can’t miss us! Arent going to the Tournament? DONT WORRY you can visit our retail stores and take advantage of similar deals! Hurry as the deals only last until the tournament finishes! You can also visit us online at Tennisplaza.com. The second week of the Miami Open is well in stride going into the Quarter Finals and already we have experienced all type of emotions from celebrating Bautista Agut upset over Djokovic to feeling the woes of Ferrer’s loss to Tiafoe during his final Miami Open, we have also seen a classic Nick Kyrgios breakdown as he yells at the chair umpire and throws his racquet on the ground following his doubles loss on with Taylor Fritz, we even experienced some Drama as well, as Angelique Kerber called Bianca Andreescu a drama queen when they shook hands after Andreescu beat Kerber in 3 sets. Also, for the first time in 10 years, 4 players aged under 23 are in the QuarterFinals of a Masters 1000, Felix Auger Aliassime, Borna Coric, Denis Shapovalov, and Frances Tiafoe. 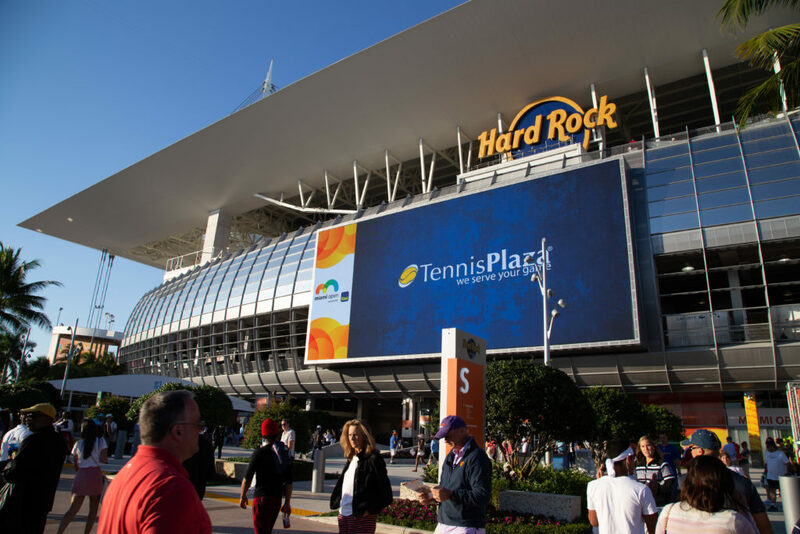 With its first year hosting the Miami Open, the Hard Rock Stadium has already provided one of the most exciting tournaments so far this year! 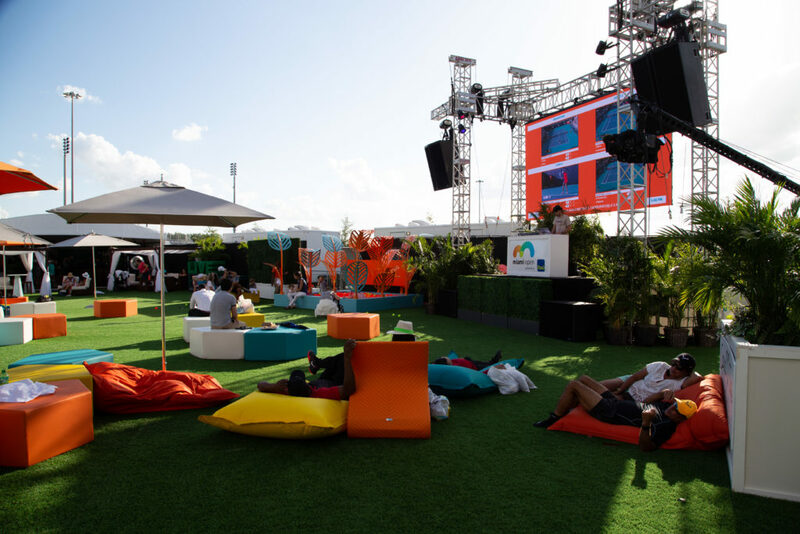 With the new grounds of the Miami Open it is much more comfortable to sit back and enjoy the game with more watch zones located all around the tournament and with the biggest screen in Tennis its easy to catch the game from anywhere on the grounds! Food locations everywhere will keep you satisfied as you can enjoy anything such as Ceviche from Kim Crawford Club House in the West Lawn or a greasy Grilled Cheese Sandwich from one of the Food Trucks located in Old Miami. 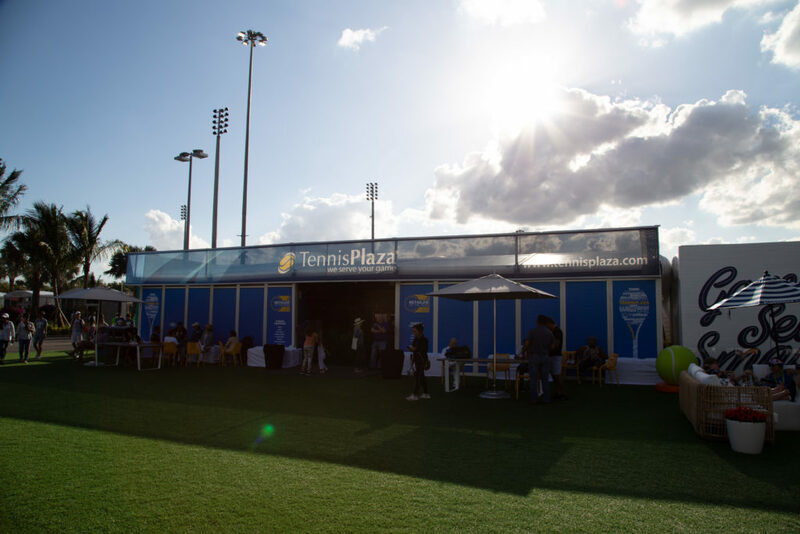 Beautiful sunsets along with Photography areas and art exhibits are sure to keep you entertained and enhance your experience when visiting the Miami Open all while catching some amazing tennis being played! 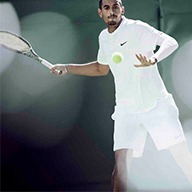 Get your tickets now at Miamiopen.com. Tennis Plaza Now Serves Tampa!